Magic Uneraser will help you restore any deleted file, including documents, photos, mp3 and ZIP files. These files could be lost after clearing the Recycle Bin, removal in a command line, formatting or at removal without using a Recycle Bin. In addition to hard disks, the program supports any types of data carriers (USB-disks, mp3-players, digital chambers, cameras, flash-cards, memory cards of mobile phones etc.). The built in preliminary viewing allows you to look through file contents before its restoration. No special skills needed. 100% free to try. Supports all file systems: FAT12 / 16 / 32, NTFS (NT4) / NTFS 5 (2000, XP). 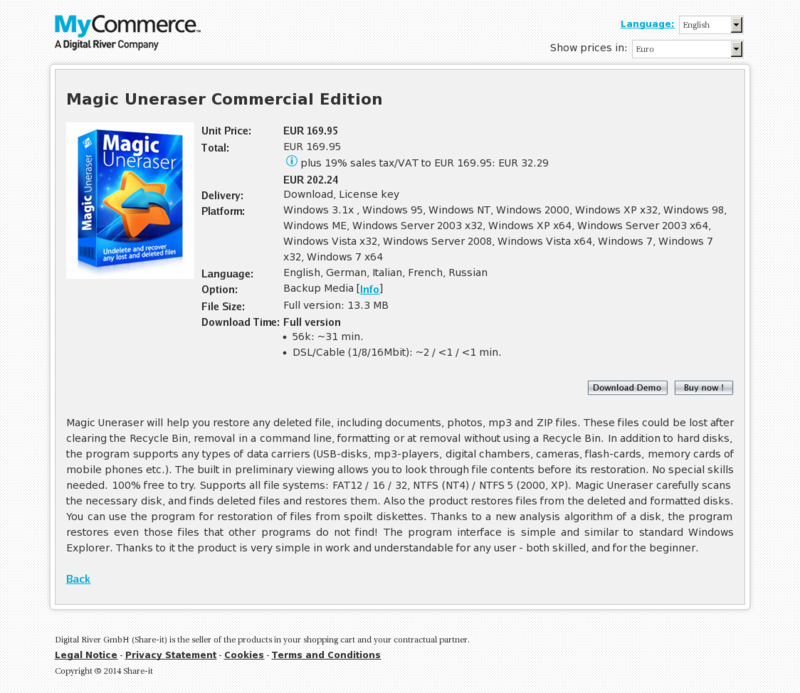 Magic Uneraser carefully scans the necessary disk, and finds deleted files and restores them. Also the product restores files from the deleted and formatted disks. You can use the program for restoration of files from spoilt diskettes. Thanks to a new analysis algorithm of a disk, the program restores even those files that other programs do not find! The program interface is simple and similar to standard Windows Explorer. Thanks to it the product is very simple in work and understandable for any user – both skilled, and for the beginner.